Your wedding day should be one of the best and most memorable days of your life. That’s why, as you plan for the big day, you have to consider what comes next – the after party. Weddings can fly by fast. There’s so much to do in very little time. It’s understandable if you forget to dance and groove a little during the actual party. But on such a special day, the celebrations must go on to make sure that you squeeze as much fun as possible. That’s why planning the ultimate wedding after-party should be on your to-do list. This post highlights important tips you can use to make sure that your wedding day is every bit as memorable as you have dreamed of. 1. Make sure you include the after-party in your wedding day planning. The process of planning a wedding can be quite demanding and tiresome. Which means that having to plan for an after-party might not sound the most appealing. On the bright side, planning in advance mitigates the chances of something going wrong at your after-party. How? For example, failing to plan would mean making last minute calls. You and 20 of your friends may end up going to a bar or night club. Unfortunately, the chances of finding a good place that can accommodate you and your friends late at night will be very low. And the last thing you want is to call off the party just because you couldn’t find a suitable venue. That’s why, despite the hassles, early planning is very important. And if you really don’t want to take on the extra planning, you could always ask your maid-of-honor or best-man to help out in this department. 2. Plan the transportation for you and your wedding party. For any late-night partying, transportation is always an essential aspect to consider. You have to make sure that you’ve given some consideration to how you and your guests are going to get from one place to the next. Finding transportation is not always easy at 3am in the morning, especially if you’re a large group. That’s why you should consider booking a limo or minibus for the party. But if that sounds like too much, look for a venue that’s close and easily accessible by on-demand service vehicles like cabs, Uber, or Lyft. 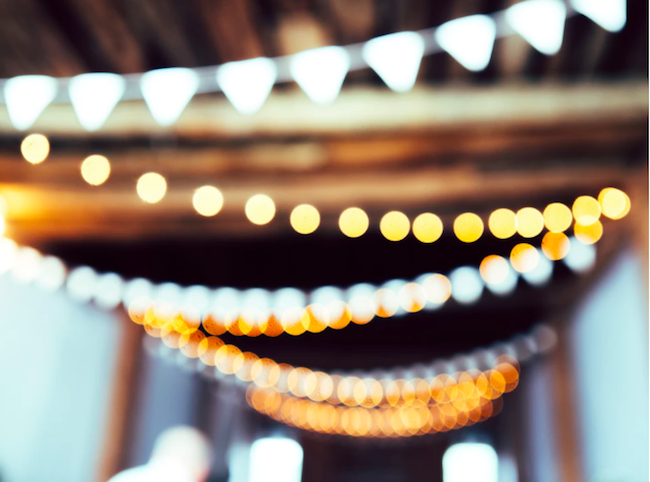 A fancy suit or beaded wedding gown may be ideal for a wedding and reception; but when it comes to after-parties, you have to switch to something comfier to get the most out of the experience. Wearing your wedding outfit to your party will only limit your ability to let go and have fun. Make sure you change into something more suited for a fun night out with you closest friends and family. 4. Make sure there is enough food and drinks to go around. Food and drinks are always an essential part of any gathering. And a wedding after-party is no exception. Unlike the actual wedding, your budget here doesn’t have to be that big. Simple and cheap meals will do. That way your guests will have something to complement their drinks as they party all night. Plus, it helps to ease next-morning hangovers. 5. Have everyone at the party take pictures using their smartphones or disposable cameras. Photographs make it easy for you to save moments of fun and happiness during your wedding day. And even if your photographer is off the clock, it shouldn’t stop you from photographing your after-party. Nowadays, taking pictures is just a few swipes away. And since you’ll have a large group of people at your after-party, having them take pictures will be fun. At the end of the event, you can pick out the best pictures and share them with your party guests. The main benefits here are that it’s simple, effortless, cheap and fun. 6. Be your own DJ. Who said parties have to be expensive? If the venue doesn’t have an onsite DJ, you can come up with a nice, long, funky playlist to play at the party. All you’ll need is your smartphone and a few speakers. Luckily, most venues will have entertainment systems you can use. 7. Come up with a list of fun group activities and games to keep your guests engaged. The easiest way to keep your party guests engaged is by making sure that there are a few fun activities lined up. Maybe not all your guests will be into dancing and music. Anyone can participate in trivia or drinking games. You can even take turns with the karaoke machine. 8. Don’t forget the hangover kit. To show your guests how much you care about them and that you appreciate them celebrating with you, give them hangover kits at the end of the night. These kits often come in handy after a long night of partying and drinking. 9. Feel free to leave whenever you want to. You’ve had an eventful day with quite a lot to worry about. No one will hold it against you if you decide to leave early. Don’t wait until everyone has left for you to call it a night. If you feel you’ve had enough or are in need of some rest, tell your guests and thank them for coming. Remember, you still have your honeymoon to be ready for. There you have it – the ultimate guide to throwing a great wedding after-party in San Antonio, Texas. The main goal here is to have as much fun as you can. After all, it’s still your big day.